After Record Losses: Are Catastrophe Bonds Once Again a Worthwhile Option? One asset class that is underperforming in 2017 is catastrophe bonds. 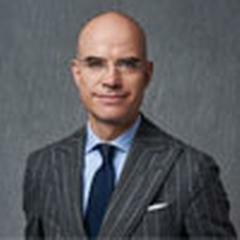 However, after the hurricane damages in recent months, they are sparking renewed interest – especially among family offices and professional investors. This is because attractive risk premiums are paid for catastrophe bonds. Catastrophe bonds are securities that provide a type of indirect insurance against natural disasters. This year, they took a beating due to the severe storms in the USA. After the recent losses, are they now a good counter-cyclical investment? Discrepancies between objectively and subjectively perceived risks are nothing new. After long periods without any loss events, we often underestimate the objective risk of damage. And the opposite is true immediately after loss events, when we usually overestimate risk. This helps insurers to sell new policies with above-average premiums in the aftermath of catastrophes, thus recouping a portion of their risk costs. 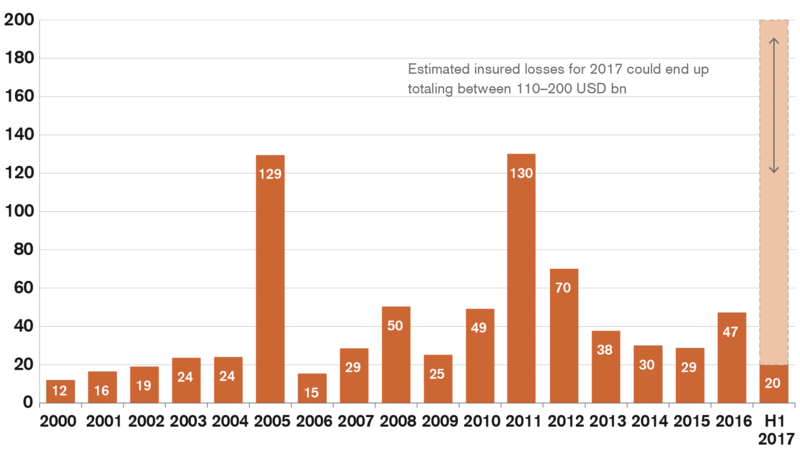 Estimated damages for the natural disasters in 2017 appear to be accumulating to a tragic annual record, as shown in the chart below. US wind is the peak risk exposure in the property reinsurance market due to the high concentration of insurance values which are exposed to severe hurricane risk. 2017 brought one of the most intense periods of natural catastrophe events in history. The industry loss numbers are still uncertain, but there is no doubt that 2017 will become one of the most expensive – perhaps even the most expensive year for the insurance industry. An immediate consequence of the latest climate damages is that premiums for the relevant insurance have risen sharply. In fact, catastrophe bonds appear to offer reasonable buy-in opportunities with attractive, uncorrelated risk premiums. For qualified investors, who are familiar with the particular risks attached to such catastrophe bonds, these risk premiums are certainly worth considering. Read about why catastrophe bonds are attractive in terms of diversification. Find out how you can invest with private equity outside of the stock exchange. Read about which trends have a promising future. Is active After Record Losses: Are Catastrophe Bonds Once Again a Worthwhile Option?